San Francisco-based Spin has added its first electric bike to their bike-share collection — and it doesn’t require a station. The company envisions its adoption of electric bikes as an important step towards making urban biking more inviting and accessible. “We see e-bikes as a key enabler of our mission to bring accessible and affordable transport to cities and campuses,” said Spin CEO Derrick Ko. The bike is able to travel up to 50 miles on a single charge while batteries are easily exchangeable for quick recharges. The bike’s movement can be assisted by pedal power and can travel up to 15 MPH with the electric engine’s assistance. Founded in 2016, Spin offers station-less bike sharing in which users can leave their borrowed bike in any responsible place rather than return it to a station. The electric bike, or e-bike, will join hundreds of traditional bikes in the Spin system. The e-bike was designed by Spin and produced by an as-of-yet unrevealed manufacturer, said to be one of the largest in the world. With its latest innovation, Spin hopes to expand bike-sharing in new, inclusive ways. “Electric bicycles, or e-bikes, have been shown to break down barriers to biking including hills, disabilities, age, and distance,” said Zaizhuang Cheng, chief technology officer at Spin. Spin currently maintains station-less bike programs at 24 locations in the United States, including cities like Los Angeles, Charlotte, and Washington DC. In Seattle, Spin collaborated with the city’s Department of Transportation to create the nation’s first station-less bike permit system and has provided over a half-million rides since its debut in 2017. 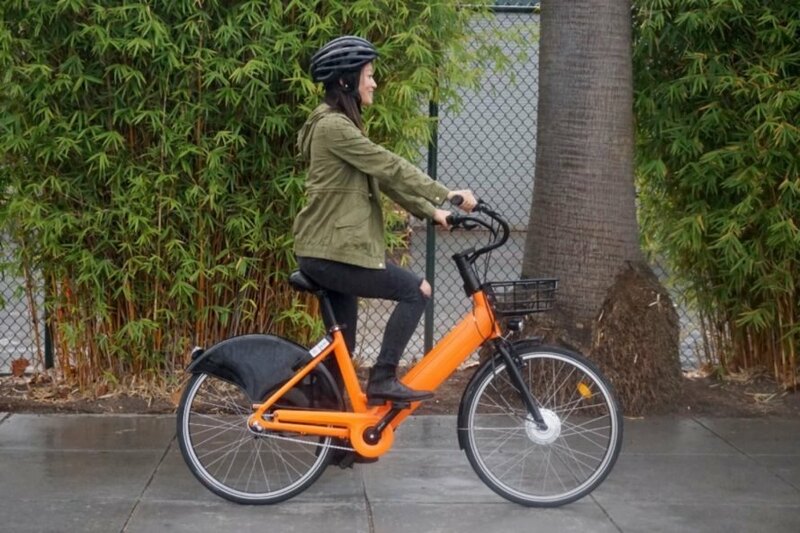 The first regions to receive e-bikes in their Spin bike-sharing networks will be places like Miami, University of California San Diego and Rochester Institute of Technology, all of which were early adopters of the original concept. Spin's electric bike in action. 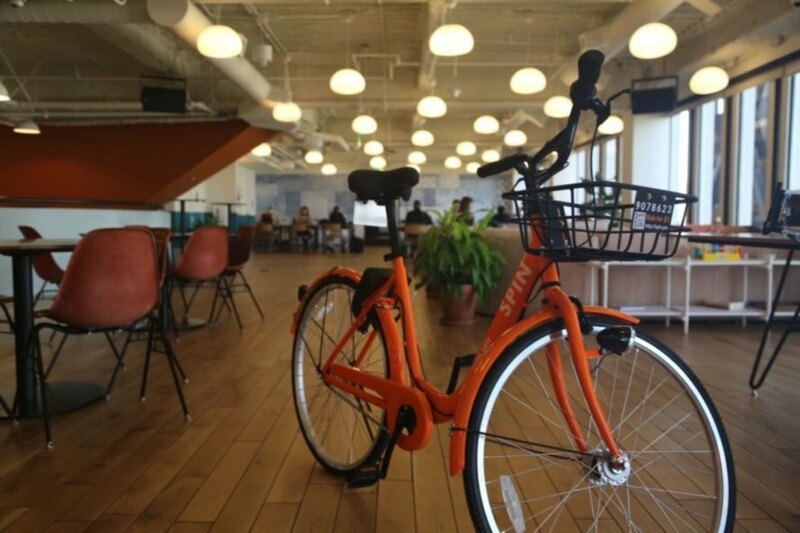 A Spin bicycle sits in an office in San Francisco.